Grew Up… with his mother Aurora and younger sister Octavia on the Ark space station. Impressively, Bellamy and his mother kept Octavia from being discovered as an illegal second child for 16 years. Consequently, he is very protective of his sibling. Living... on a post-apocalyptic Earth. 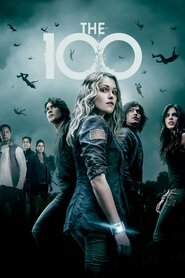 Bellamy and his sister are part of a group of 100 juvenile delinquents who are being used as guinea pigs to see if the formerly ravaged planet is inhabitable again. Yet Bellamy’s new home is somehow still an improvement compared to his previous situation on the space station. At least he is together with Octavia. Profession… the leader of the 100. He took charge of the Delinquents as soon as the drop ship landed on Earth, convincing them that they were better off without the Ark’s interference. Interests… history and mythology. Bellamy named his newborn sister Octavia after the sister of the Roman emperor Augustus. His mother used to tell the two of them stories to pass the time. Relationship Status… emotionally unavailable. Bellamy might sleep with people, but he is a long way from a real romantic relationship. Challenge… protecting his sister at all costs, whether she wants him to or not. Bellamy may have assumed leadership of the 100, but his real aim is to keep Octavia healthy and happy. Considering how reckless she is being, this is a more difficult job than it seems . Personality… charismatic, self-serving, and ruthless. Bellamy doesn’t have many compunctions when it comes to getting what he wants, and he certainly doesn’t have the best interests of the 100 in mind. Bellamy Blake's popularity ranking on CharacTour is #758 out of 5,000+ characters. See our top-ranked characters and read their profiles.